"Every company starts with a story." Like other companies today we are the product of several legacy companies that have come together to create a cohesive team. Historically ae YORK's larger legacy companies have been well known in the High Reliability magnetic components manufacturing marketplace. One such company is J.B. Electronic Transformers (JBET). JBET had their corporate headquarters, main manufacturing facility and qualification laboratory in Chicago, Illinois. They also had a design, manufacturing and quality facility in Indiana. JBET supported many of the Department of Defense programs that have assisted the warfighter through the years. JBET built a very close partnership with many of America's leading Tier 1 Defense contractors. 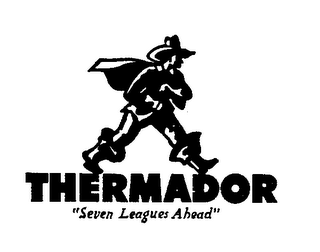 With the winding down of orders for transformers and reactors following World War II and the Korean War a major manufacturer, Thermador (having the very popular "Seven Leagues Ahead" Trademark) sold their Electronics Division to several of the senior employees just as the race to space was ramping up. This new employee owned company Spatron became an integral part of the space community in Southern California. Hiring electrical design engineers from the now famous program "Operation Paperclip". Spatron was on the leading edge of designing and manufacturing in the High Reliability SPACE marketplace. Many Department of Defense quality standards were put into place during this time. With an engineering, quality and production team that became famous within the space community efforts were made to spend time on implementing, writing and standardizing the many space quality and manufacturing procedures. Later smaller high reliability manufacturers such as Zaring Products, Amnetics, and Amfed Sales were brought into the larger group. Along with these manufacturers came new sales representative and distribution companies. Today a.e.YORK is proud of the lines that we carry and the services we provide. As a small company a.e.YORK, LLC has worked to be specialists in our channels of service delivery.